Please sign up for the Canonbury Antiques email newsletter. The email is bi-monthly and we feature are favourite new products alongside all the latest news from the world of interiors from Canonbury Antiques in London. After the sign up we offer a 10% discount on your first purchase. We of course we will not share your data with anyone else. Our emails feature items that are carefully curated from all over the UK and Europe hence making us a favourite with interior designers and discerning individuals amongst our global client base. We also offer an extensive product sourcing service so please let us know what you are looking for and we can do our best – with years of experience and contacts – to find it. We work with many high end interior designers in London and further afield. 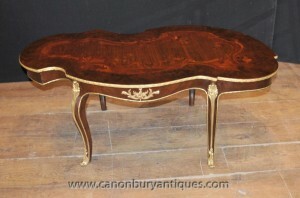 Our Hertfordshire antiques showroom is only 25 minutes north of London in the leafy Herts countryside. We are easily accessible by road and car. By car we are right near where the A1 meets the M25 just outside of Potters Bar – and down the road from the historic market town of St Albans. Via rail you can take a train from Kings Cross in Central London (20 minute journey) then we are a five minute cab right from Potters Bar station. Canonbury Antiques have been in business since 1964 and we specialise in art deco furniture, classic English dining furniture, architectural antiques, bronzes, porcelain, continental antiques and all things interiors. We have a whole host of oak dining chairs suitable to match our range of refectory tables, including ladderback chairs, spindlebacks and Windsor chairs. We also have a large range of classic farmhouse furniture – large oak refectory tables and as before we have various chairs to match including ladderback, spindleback, Windsor chairs and Mary Tudor chairs. Again you can try these out for size and comfort in the Canonbury Antiques Hertfordshire showroom beofore making the final purchase. Other specialities of ours includes art deco furniture of all types, large bronzes and architectural pieces, French and Asian porcelain, French furniture and English antiques. We can ship these goods to any part of the world so let us know if you would like a shipping quote and we look forward to seeing you soon in leafy Hertfordshire.